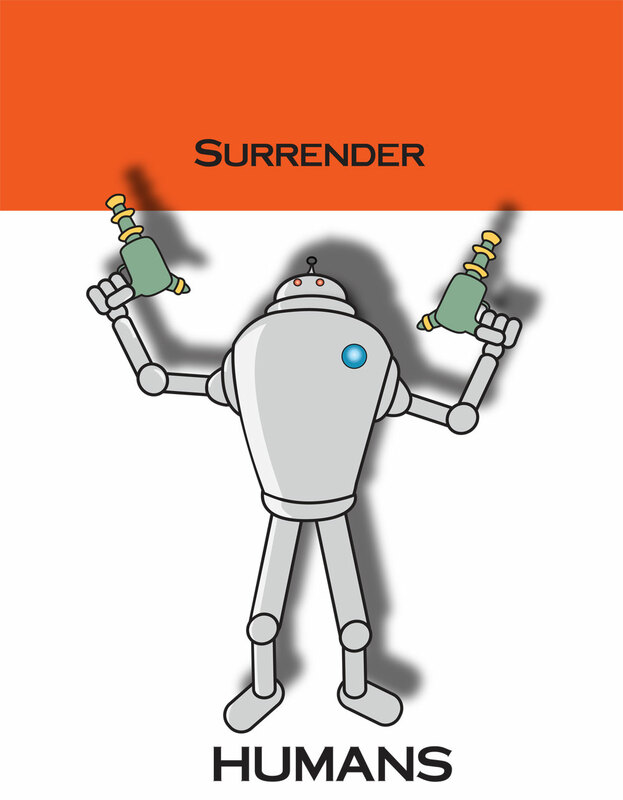 This weeks theme for Illustration Friday was “Surrender”. I got inspired by a lamp I have and some old movie posters to make this a bit too adorable killer robot. The pop of color up top attracts the eye and then it glides down the robot to the larger text sending a clear message that the end is near. I’m pleased with how it came out. ROBOTS! You cannot go wrong with robots! Actually, yes…Killer Robots. Awesome! Aww! He doesn’t look like he would hurt anyone. Maybe he’ll toast your marshmallow with his ray gun! Im just lanierng how to use adobe illustrator and its fun but maddening at the same time. Thanks for the tutorial, its helped me quite a bit.